2" x 27" S/C Sanding Belt 60 Grit, 10 pk. Grizzly H5016 - 2" x 27" S/C Sanding Belt 60 Grit, 10 pk. 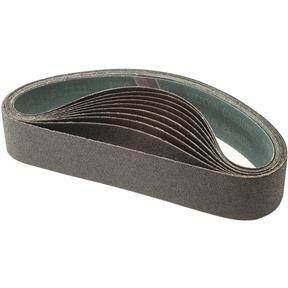 These Silicon Carbide 2" x 27" sanding belts are 60 grit and sold in a 10 pack. I bought these for my 2" Grizzly belt sander. I've been happy with the unit and the belts. They seem to be very durable, do not tear, and hold up pretty well so far.